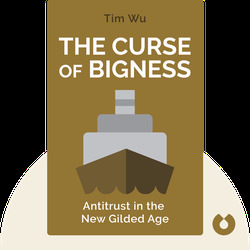 The Curse of Bigness (2018) deals with topics and questions that have become especially pressing in recent times. 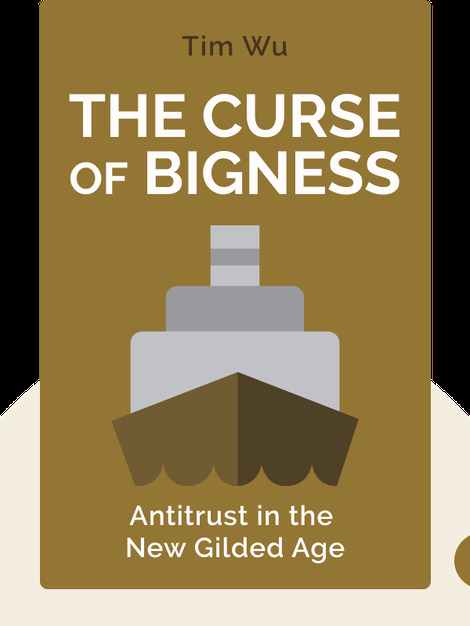 How and why have markets become dominated by a handful of corporate giants? And what can we do about it? To answer these questions, the author recounts the political, economic and legal history of economic concentration. Along the way, he examines the dangers that come with it, and how they can be mitigated. Tim Wu is a professor at Columbia Law School. He was formerly a senior advisor to the US Federal Trade Commission, a senior enforcement counsel at the New York Office of the Attorney General and a member of the Obama administration’s National Economic Council. As a policy advocate, he is best known for the phrase "network neutrality," which he coined in his influential 2003 paper, “Network Neutrality, Broadband Discrimination.” He is the author of The Master Switch and The Attention Merchants.